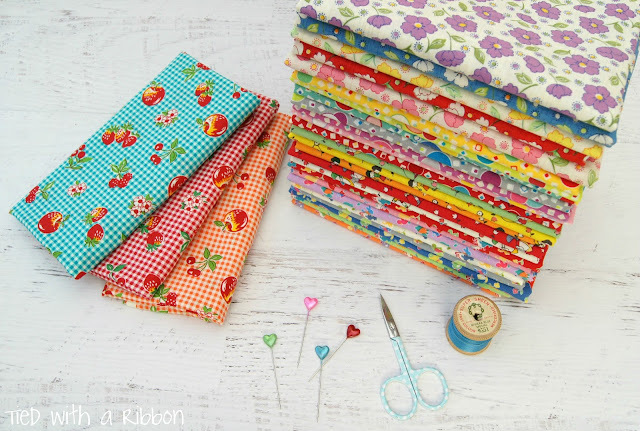 Recently I have been working with this beautiful new upcoming range from Lecien Fabrics- Child's Smile Retro 30's. These colours are so vibrant and bright and filled with the cutest prints including strawberries, flowers, dots, children and lots of sweet toy animals. 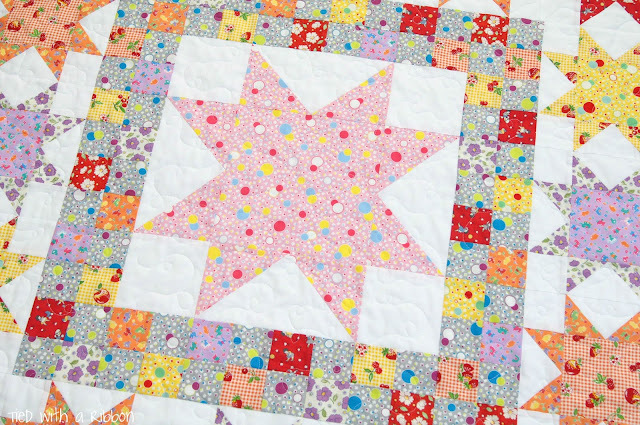 This collection has a large number of prints in it which made it perfect to make a Starstruck Quilt to showcase this new range. 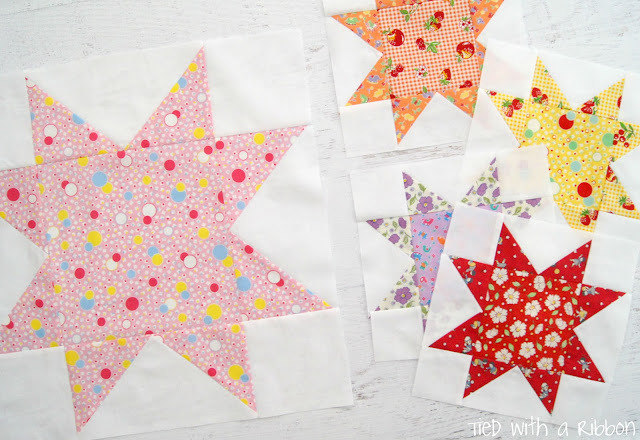 Each group of stars was made using one of the colour ways in the collection. 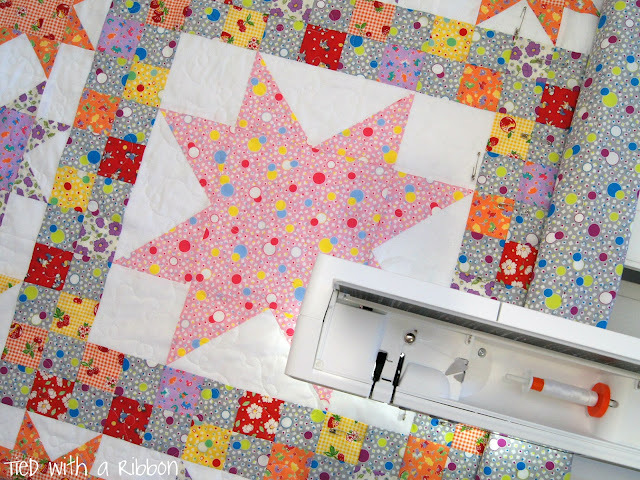 Pieced and Machine quilted in Aurifil. I used a loopy Free-Motion design to quilt all over the quilt. 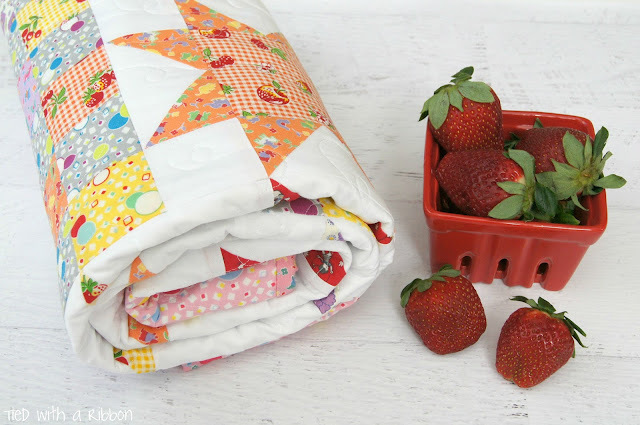 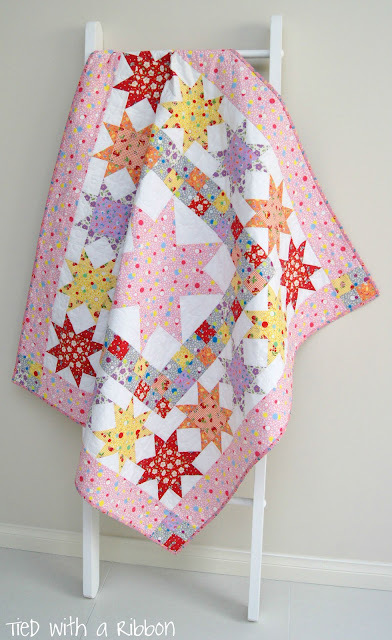 This quilt is an excellent size for a baby or for a toddler. 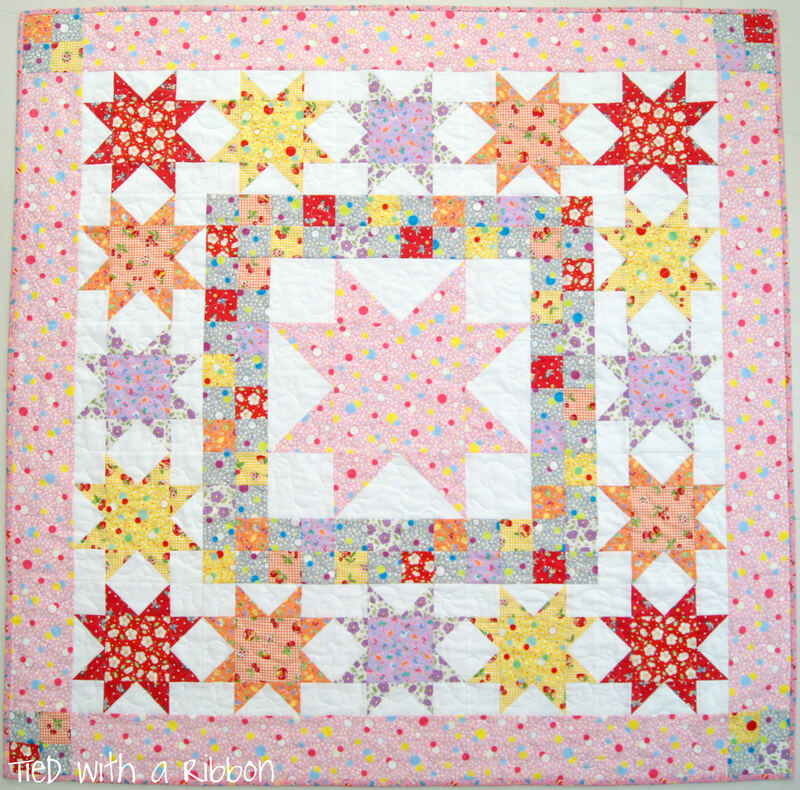 Currently winging its way to Lecien HQ - this Quilt will be on display at Fall Market. 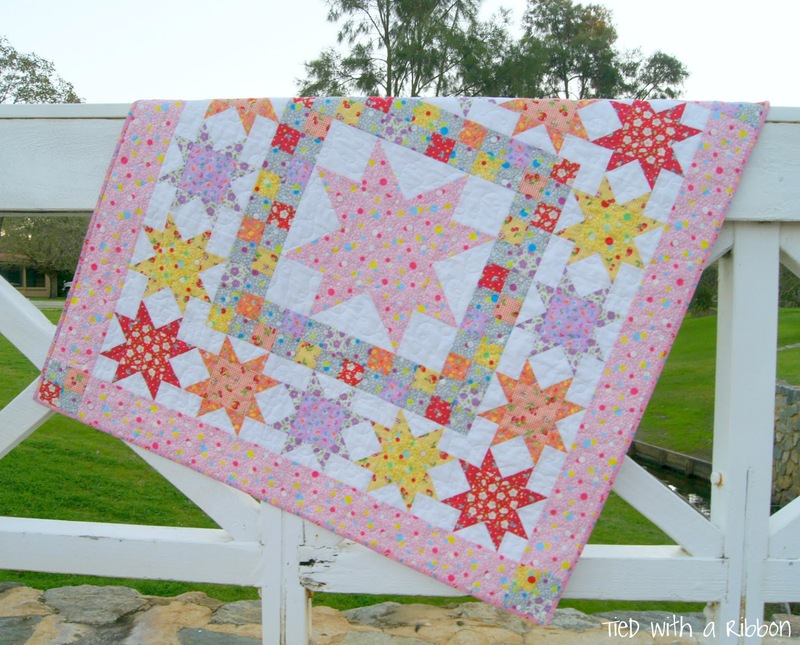 My Starstruck Quilt Pattern is available here at my On-line store as a PDF download or for Wholesale purchase through Creative Abundance.